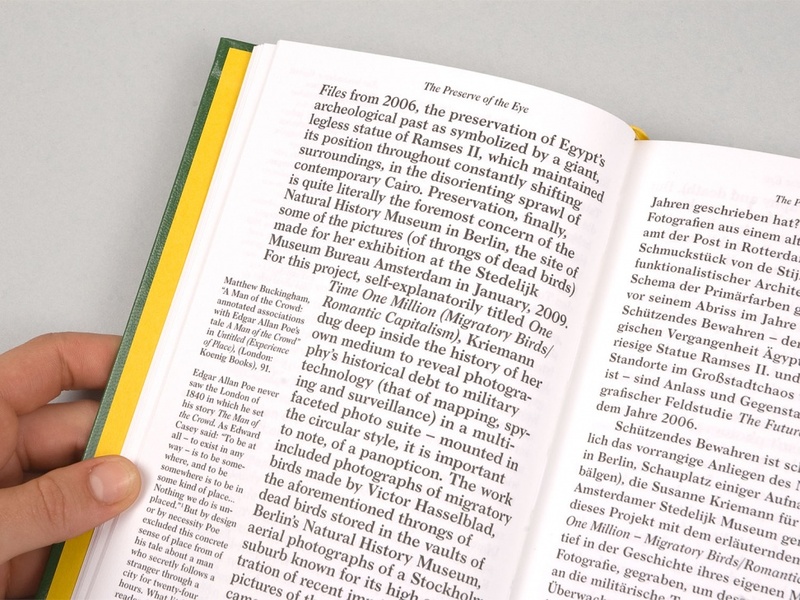 This book is comprised of texts on Susanne Kriemann’s practice and its relation to the concept of Reading in a wider sense: reading photographs, archives, and texts and transforming these into new compositions with photography, urban space, and historiography. 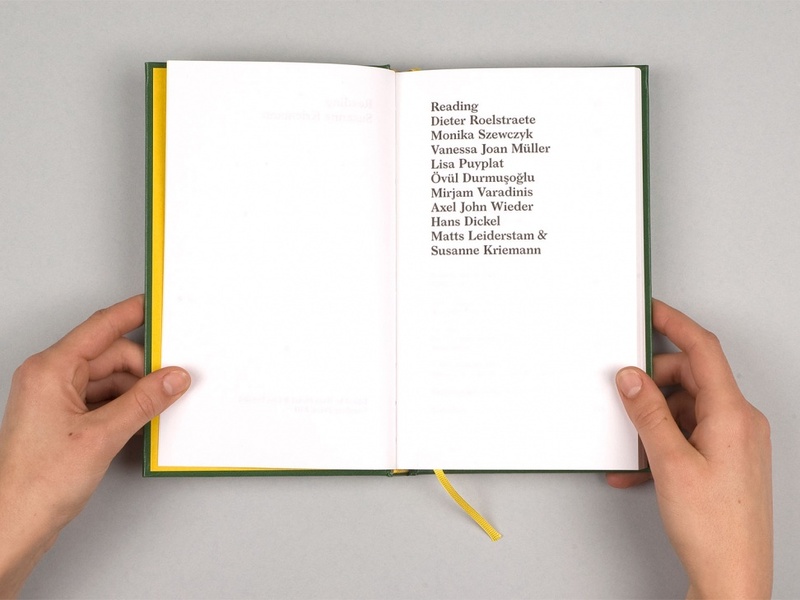 Nine authors have approached intertextuality’s various manifestations and meanings and in doing so, confront the notion of reading (of text, image, object, context). 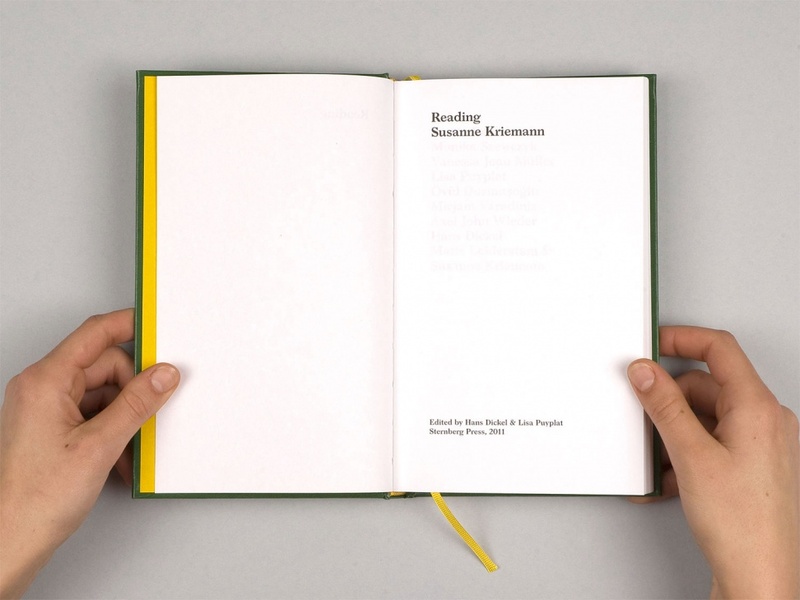 The authors trace the permeation of the intermedial in Susanne Kriemann’s work in various ways. 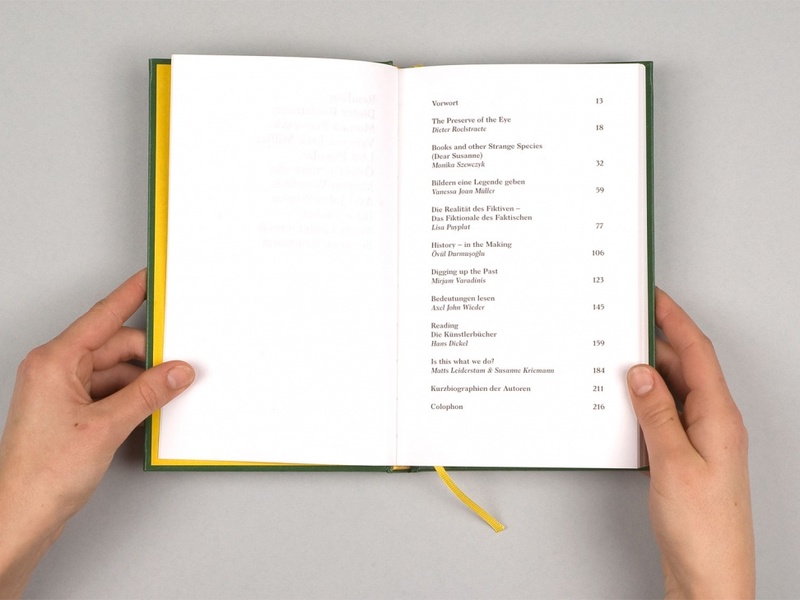 Quotes from writers, scientists and journalists dispersed throughout the book touch on themes present in the Susanne Kriemann’s work, both deepening as well as linking it to the current discourse of art in general. 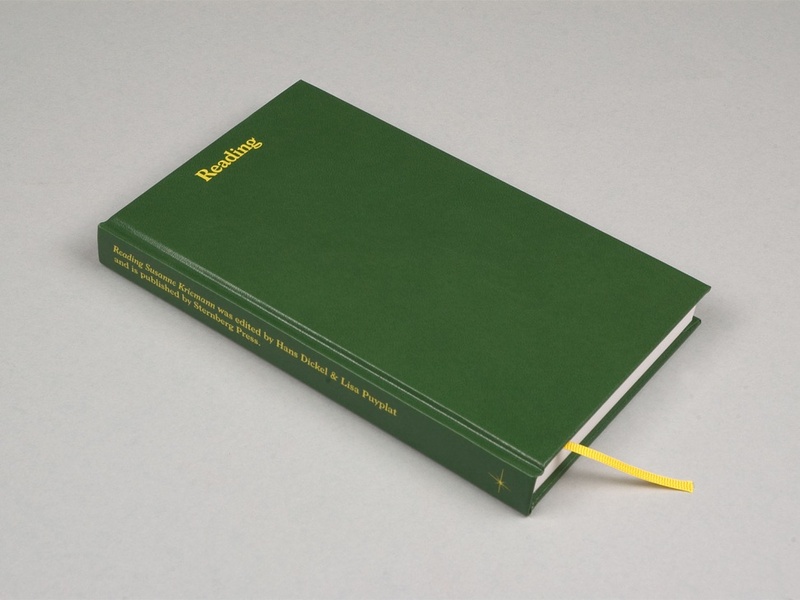 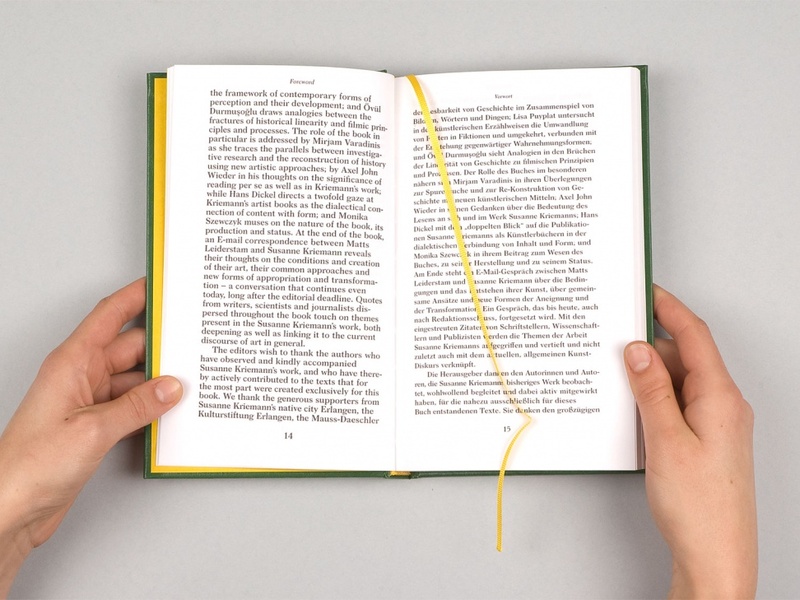 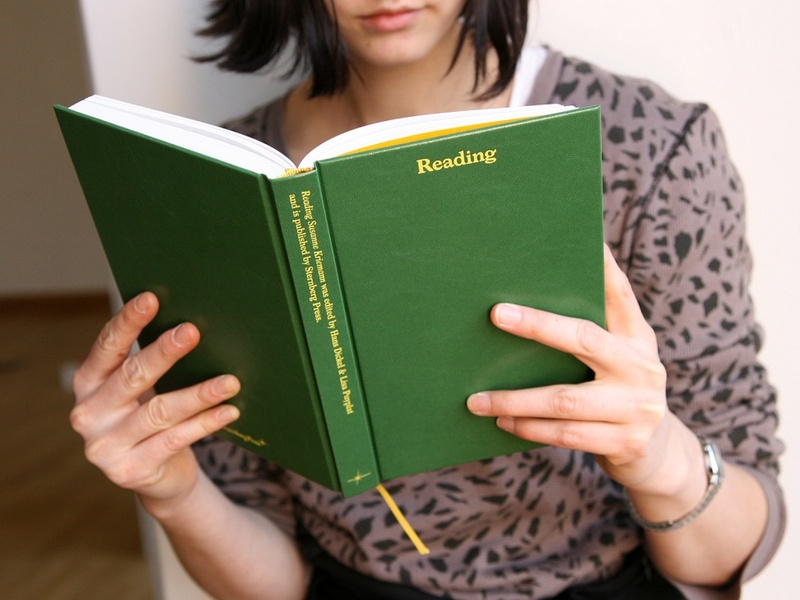 The book design refers to that of a classic novel, in format and materiality. 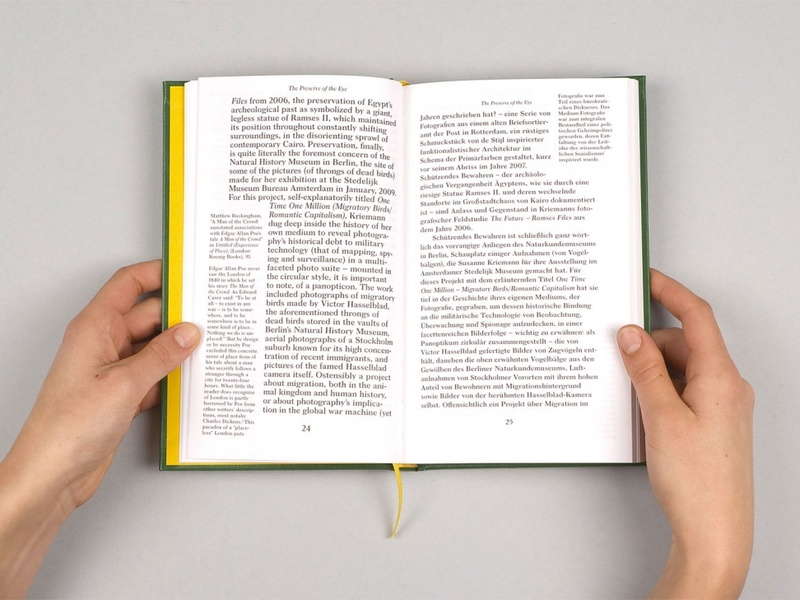 We used the typeface ‘Larish Neue’ to set the text; the English translation is running next to the German essays, whereas the setup of the English pages appears slightly scaled or misplaced on the page. 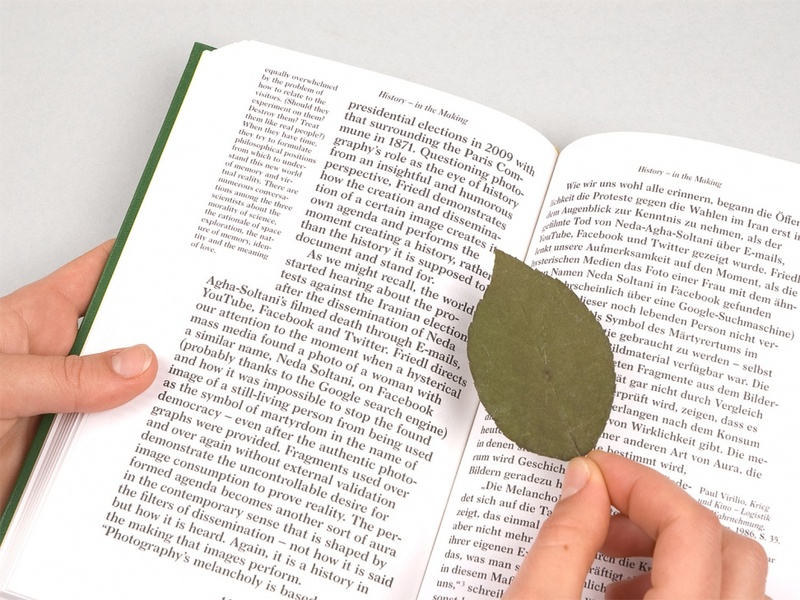 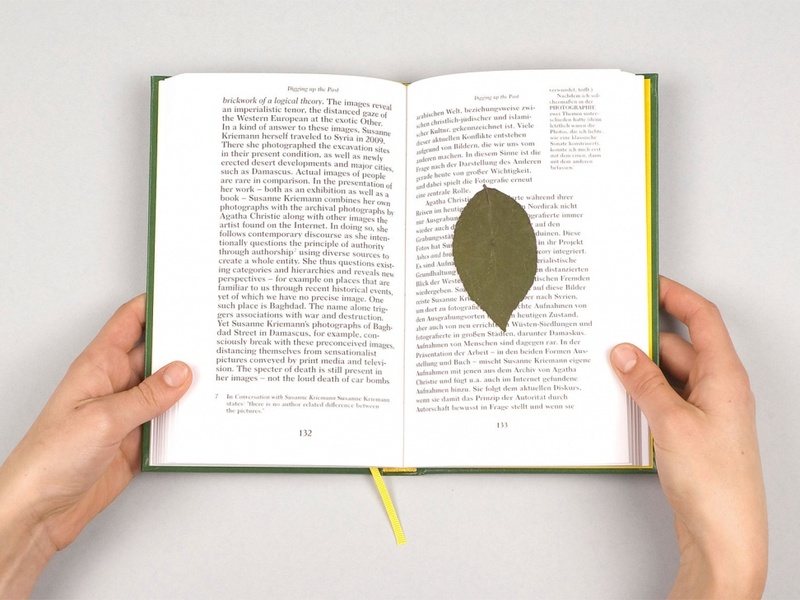 Each book contains a dried rose leaf that has been manually placed by the bookbinder.